Scott is a professional illustrator and graduate of the American Academy of Arts in Chicago. He enjoys teaching digital and traditional art, painting murals, and pursuing his freelance illustration career. Recent projects include completing over 200 illustrations for the Early Ascent educational app Reading Raven. Scott has also taught at McHenry County College and Reprographics. "I like the possibilities of children's illustration. I like how in a child's world, a mouse and a tiger talking to each other makes perfect sense. I love the surreal, the unreal, the escape from reality that a child has. I call it the 'what if' factor - as a child I was always asking 'what if?' I would ask my dad, 'What if a UFO suddenly landed right here? What would you do?' As a adult, I feel that I've gotten away from that, that sense of whimsy and sense of fun. I try to recapture that in my art. I try to open a door, or window, into a child's world." 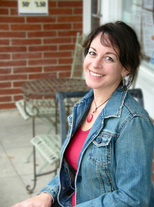 Susan Sieber has been a professional arts educator since 2001, working with both digital and traditional media. 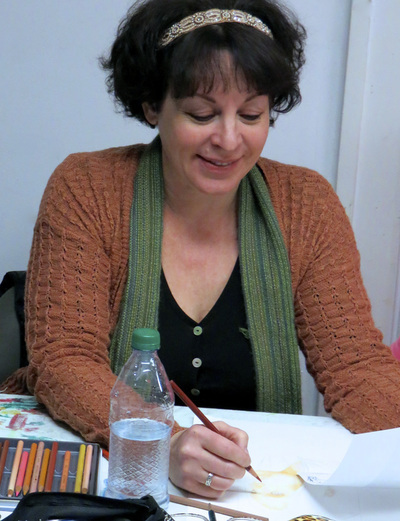 She received her MFA in Illustration from Academy of Art University, her BA in Creative Writing from Beloit College, and was named an Illinois Artisan by the Illinois State Museum Artisan Program. She has studied art and architecture in Morocco, and calligraphy and fiber art in Japan. At Creative Arts she teaches a variety of classes, including Sew It, Drawing Manga/Comics, and Computer Animation. 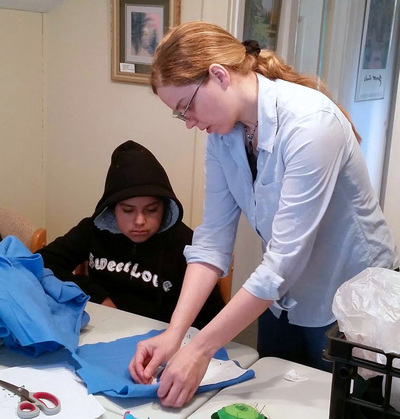 Janet Balboa has taught art for adults at The Illinois Institute of Art, and for youth at MCC Kids & College. 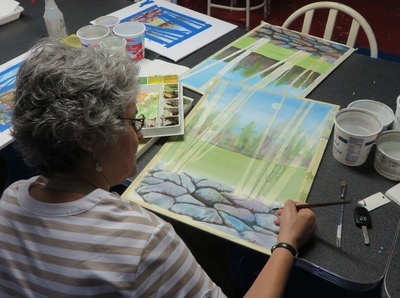 At Creative Arts she offers Adult Open Studio, and Magical Nature, in which students can learn drawing skills with pencil, colored pencil, and art markers. "We all have the soul of an artist, that longing to be true to ourselves, to live a life that really is ours. I create art so I can ultimately live authentically – free, alive, joyful." 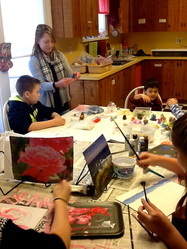 Linda instructs our youngest artists ages 4-8, as well as teaching Adult classes in Zentangle. 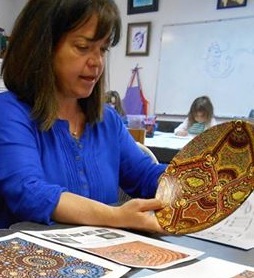 She is a certified Zentangle instructor, and also instructs art classes at Montessori Pathways. Kathie has an AA in computer science and was a business woman for over 25 years. She's now traded her desk and computer for an easel, brush and canvas. Her work has been displayed at MCC, The Arts Center at The Old Courthouse in Woodstock, and the McHenry States Attorney's Office. 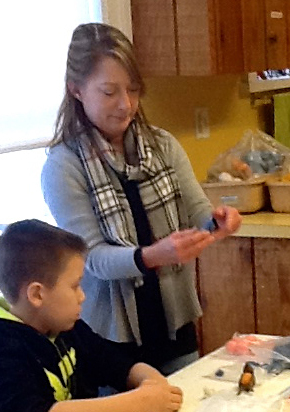 "I want my students to enjoy the journey of creating their own artwork. There is an artist in all of us, it just needs encouragement and a little guidance. " Having the advantage of growing up in a family of artists, I was destined to become involved in art myself. I grew up in the Chicagoland area and now I live in McHenry County. I consider myself lucky to have been taught many different mediums and art techniques. I have been teaching art classes since 2008. I love to create by painting and drawing, and love to share the process of creating with others! Matthew Schultz is a multimedia artist, sculptor, and composer who has appeared on over 35 CDs. He is a designer and inventor of several musical instruments including the ATG, ceramic whistling vessels, and ceramic drums. He also creates digital mandalas and has a book and CD entitled "Mandalas". Schultz also teaches Graphic Design at McHenry County College. 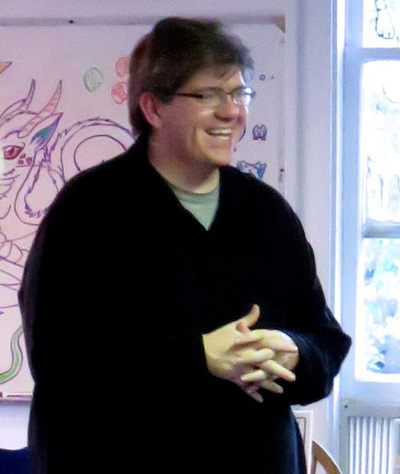 Michael teaches Adult Creative Writing class at the studio, and enjoys exploring nonfiction, fiction and poetry. He taught English and Debate classes for 14 years at Dundee-Crown High School, and also taught conversational English in Japan. Therese studied figure drawing, painting and illustration at The American Academy of Art, Chicago. She has been a graphic designer for over fifteen years, and served on the Board of Directors of The Northwest Area Arts Council for five years. 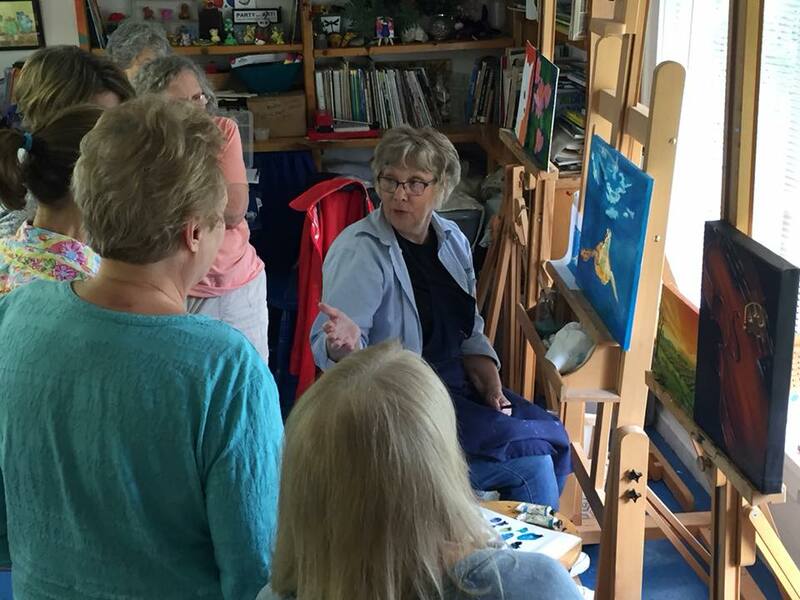 Along with teaching classes at Creative Arts, she teaches drawing and painting at McHenry County College for Continuing Education as well as Kids and College.